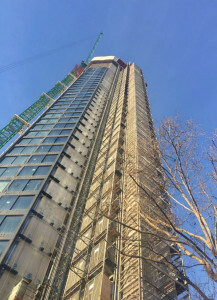 This development of luxury apartments is topped off with Altitude Apartments with some in excess of 1000sq ft having impressive views across London. 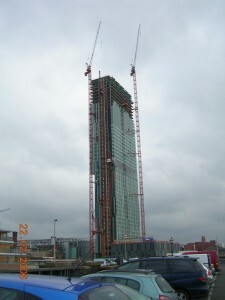 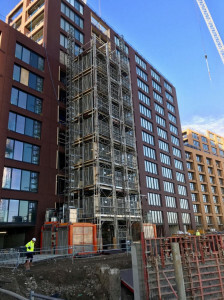 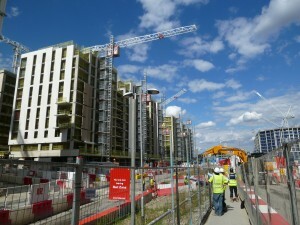 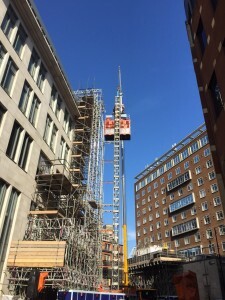 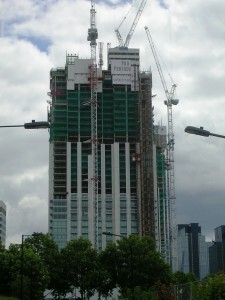 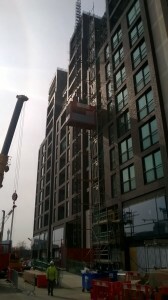 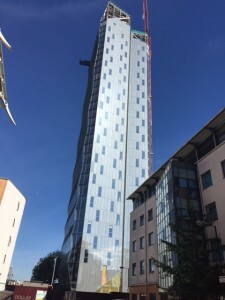 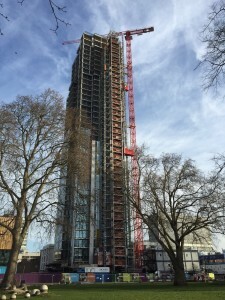 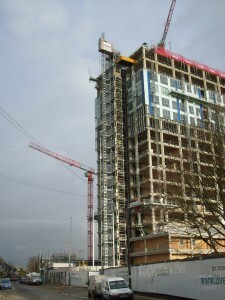 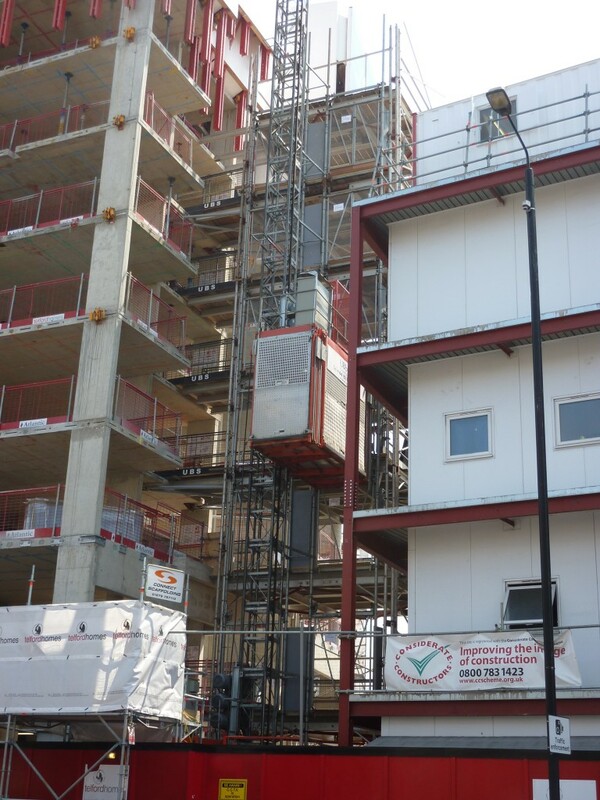 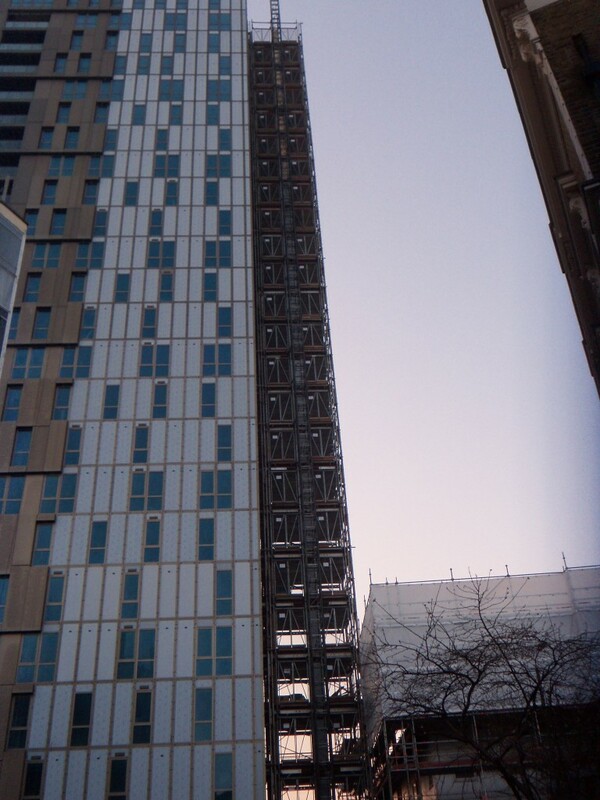 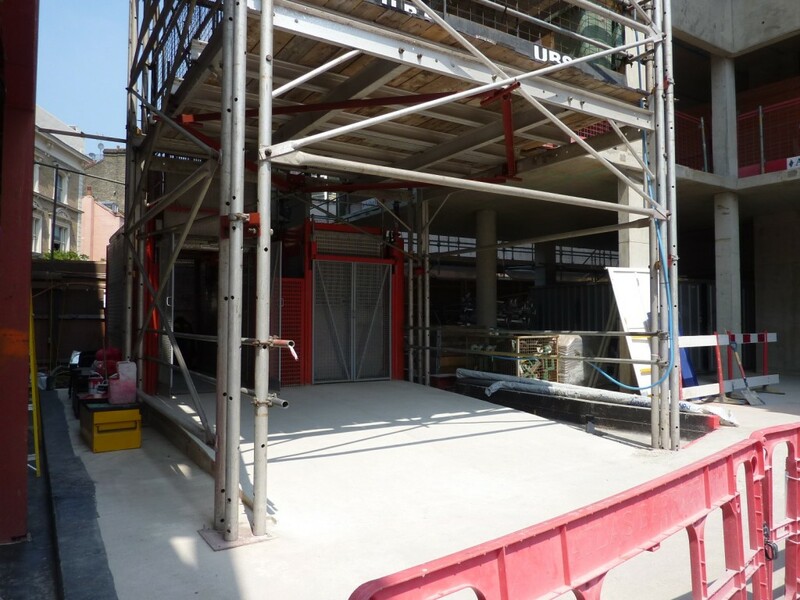 UBS are supplying hoists and common tower which have had to be designed to position within the minimal external floor area left around the perimeter of the tower. 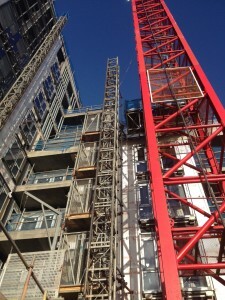 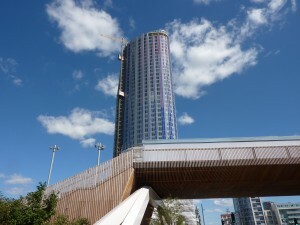 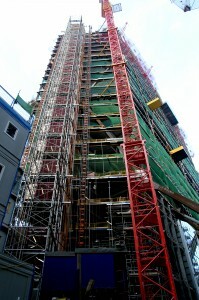 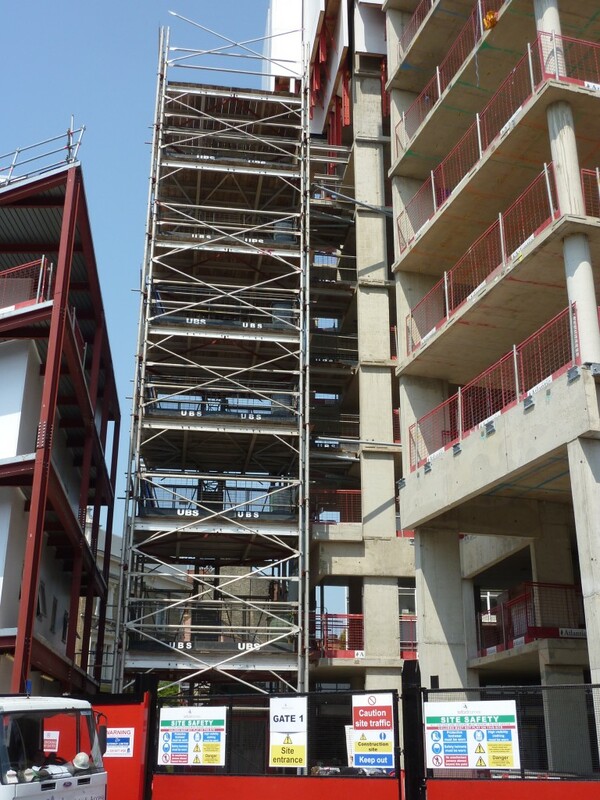 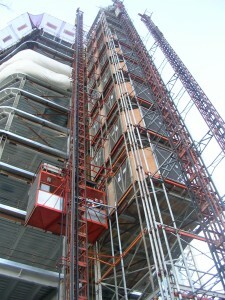 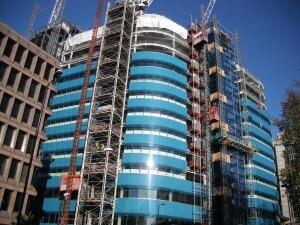 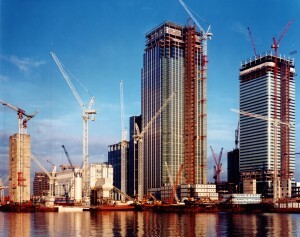 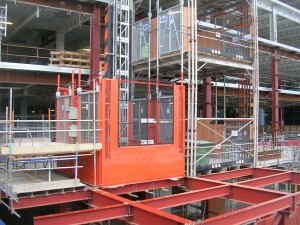 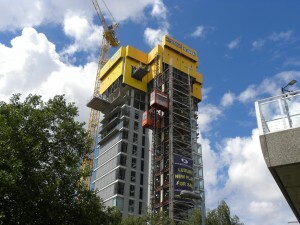 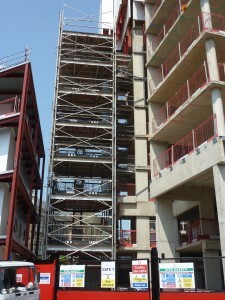 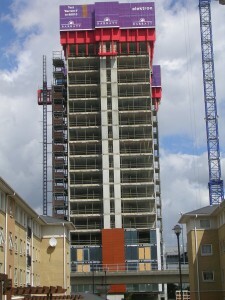 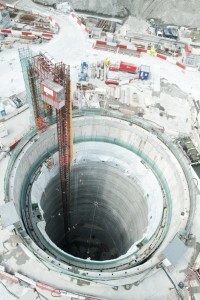 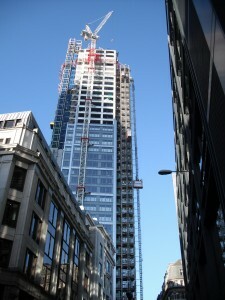 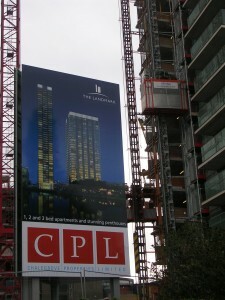 The Common Tower has been used to allow a twin hoist to access the floors via the Common Tower decks, with the hoist running parallel to the building face due to the limited ground area. 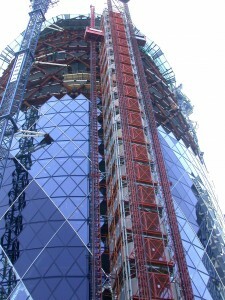 Avantgarde. 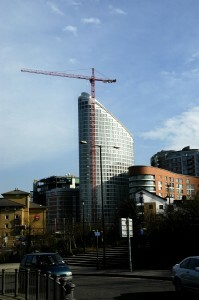 UBS common tower reverse view.